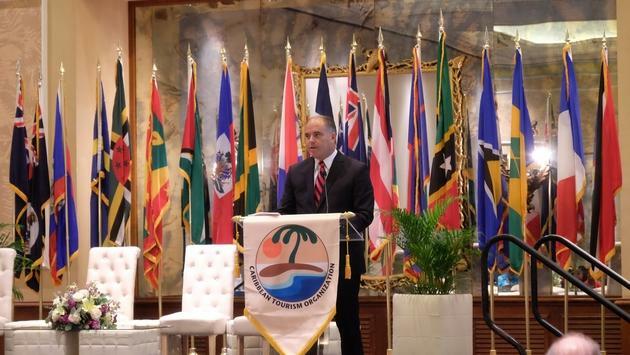 The Caribbean needs more business to help it recover from last year’s storms, a top U.S. travel official said yesterday at the annual SOTIC 2018 conference. And travel agents are there to help. 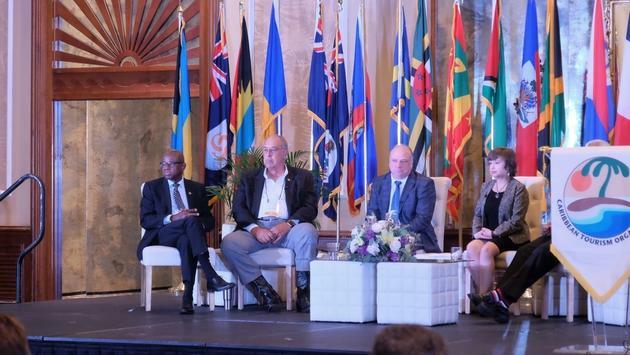 Speaking at the Caribbean State of the Tourism Industry Conference in The Bahamas, Travel Leaders International chief marketing officer Stephen McGillivray said agents have played a key role in the recovery and can help bring in higher-paying customers. McGillivray said a new Phocuswright survey found that travel agents are the largest travel distribution segment representing 30 percent of total travel sales. - Phocuswright says travel agents sell two-thirds of all cruises and 68 per cent of all package tours. - MMGY data suggests that travel agents sell 75 per cent of all international long haul travel from the US. - CLIA reports 82 per cent of luxury cruises are sold through advisors. The Internet was one of the best things that happened to travel agents. Travel consumers are overwhelmed with information and need an expert to cut through the clutter. Thirty nice per cent of millennial travelers and 51 per cent of millennial families said they plan to use a travel agent. On average, travelers who use an agent spend more overnights at the destination than those who do not. Their average daily spend is 60 per cent higher than people who don’t use travel agents. "Long before 12-year-old YouTube stars and million-follower Instagram accounts, travel agents were and are your underground network of trusted experts in big cities and small towns all across the country," said McGillivray. "Travel Leaders Group have more locations across the U.S. than KFC or Walmart. The next time a weather event blows through, and the press is showing nothing but devastation on the TV 24/7, it will be your travel agent partners who are calming the fears of already-booked travelers and assuring future customers that the Caribbean is open for business" he said. "Make sure your communication strategy includes us." The Wednesday session began with a welcome video message from former US president Bill Clinton, who said a lot has been done to help the Caribbean since last year’s storms but that there is till so much more to do. Caribbean Tourism Organizataion Secretary General Hugh Riley. Riley said Clinton’s Global Iniative is doing great work throughout the region. He didn’t say it, but Clinton’s involvement was a clear contrast to the performance and attitude of current President Donald Drumpf, who has been vilified in Puerto Rico for his response to last year’s hurricane. My personal star of the morning was retired US Army Lt. General Russell Honore, who spoke about the dangers of building homes and businesses near rivers and other bodies of water. “We’re stuck on stupid, because we try to defy Mother Nature,” he said as the audience roared. Not only are hotels and other businesses continually built in areas prone to flooding, there also are increasing issues with water quality around the world. “It’s just hurricanes and storm surge, it’s what’s in the water,” he said, citing things like algae issues and red tide. Toronto architect Tom Hook, who’s with B+H Architects, talked about the need to have green roofs that soak up water, as well as natural areas, retention ponds and other features that allow storm water to flow in natural patterns and not directly into expensive hotel rooms. Caribbean Tourism Organization Secretary General Hugh Riley. Riley said Clinton’s Global Initiative is doing great work throughout the region. He didn’t say it, but Clinton’s involvement was a clear contrast to the performance and attitude of current President Donald Drumpf, who has been vilified in Puerto Rico for his response to last year’s hurricane.